Here’s what’s of interest from Marvel for January 2015. Full solicitations are available here. 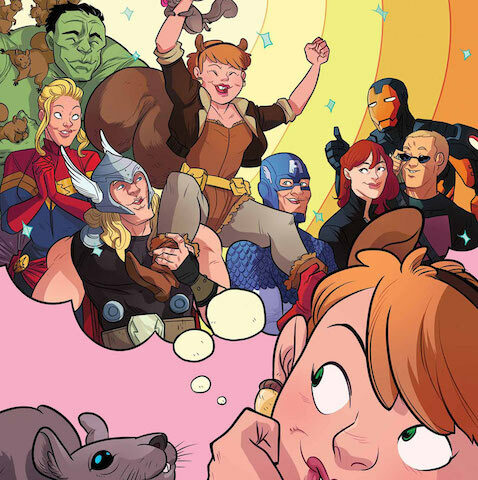 Squirrel Girl gains her own monthly title this month. No idea what it’ll involve, but the stories of her I’ve read were amusing enough. SHIELD features Ms. Marvel appearing this month. Trade paperbacks for Storm’s solo book and a hardcover of Rocket Raccoon’s book are out this month. They’re cheaper than buying the single issues, of course ($20 for the singles of “Storm” versus $16 for the trade), even with the pros and cons of trade waiting.